After deferring your state pension for a few years you have decided that it’s now time to take it. You have the option of a higher pension or a lump sum. The latter offers the chance of some tax planning but what’s involved? Kevin Ferguson advises. As you may know, the government allows you to defer your state pension by up to five years. In return it will pay you at a higher rate when you start drawing it. The position is more advantageous if you reached state pension age (SPA) before 6th April 2016. Not only is the increase in pension almost double that for those who reached SPA on or after the 2016 date, but you can instead opt for a lump sum payment. More pension or lump sum? Where you have the option of a higher pension or a lump sum you’ll want to weigh up which will be worth more to you. We can’t help you decide other than to tell you that you’ll obtain an extra 10.4% for each whole year you defer your pension. Alternatively, you can take a lump sum equal to the pension you would have received had you not deferred it, plus 2% for each year of the deferral. The pension and the lump sum are taxed differently. The state pension and the extra you receive for deferral are simply added to your taxable income. However, if you opt for the lump sum, the rate of tax which applies is whatever the highest rate of tax is on your other income. Director David is the only shareholder of David Smith Ltd, he reached the SPA on 31st March 2014 but deferred taking the pension until 1st March 2019. He opts for the lump sum which is £50,000. In 2018/19 his income is salary of £8,400 and dividends of £40,000, plus state pension from 1st March 2019 of £900. His total taxable income for 2018/19 ignoring the lump sum is £49,300. After taking off off tax-free personal allowances, some of his income is taxable at the higher rate. The Department for Work and Pensions deducts the 20% tax (£10,000) from the payment, but because David is liable to higher rate tax he must pay another £10,000 through his self-assessment. Only the main income tax rates apply to state pension lump sums. The special rates of tax for dividends are ignored. If you can plan your income to achieve a nil tax rate on your other income you can receive the whole pension lump sum tax free. You can choose to receive the pension lump sum in the year following that in which you stop deferring your pension. This allows more time to plan your income. If David opts for the lump sum on 1st March 2019, but asks for it to be paid on 6th April 2019. This falls in 2019/20. He draws no salary or dividends for 2019/20. His only taxable income is therefore his state pension of £11,100. This is less than his tax-free allowances, say £12,000, meaning that David has a nil tax rate. He can therefore receive the whole £50,000 lump sum, saving himself £20,000. Getting the numbers right is absolutely critical to minimising tax on a state pension lump sum. So when planning income, double check your figures to make sure that you don’t miss anything. The rate of tax on a lump sum (only available if you reached state pension age before 6th April 2016) is equal to the highest rate payable on your income. If you can manipulate your income to achieve a low tax rate, this will save you tax. It’s even possible to make the lump sum completely tax free. 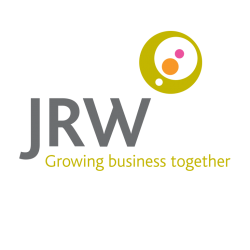 As ever, if you would like advice on efficient tax planning for your retirement, please get in touch with me or one of the team here at JRW.